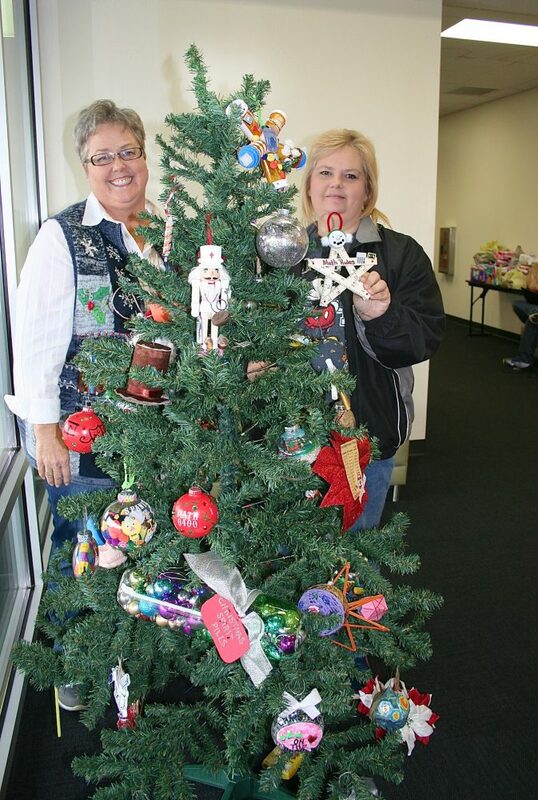 ORNAMENT WINNERS PJC-Sulphur Springs Center students who wanted to create a “class inspired” Christmas ornament for the campus tree have submitted their creations and winners have been announced. First place went to Carol Wheeler, pictured above with her instructor Cynthia Steward, for her math-inspired ornament, “Math Rules”, an ornament made of rulers. Second place went to Whitney Olivares for her geology inspired ornament. Winning third place was Dee Ann Hoelcher for her biological inspired creation. Nicky Cline’s pharmacology creation won fourth place, and honorable mention went to welding student Travis Caviness. Each winner received a gift card prize.